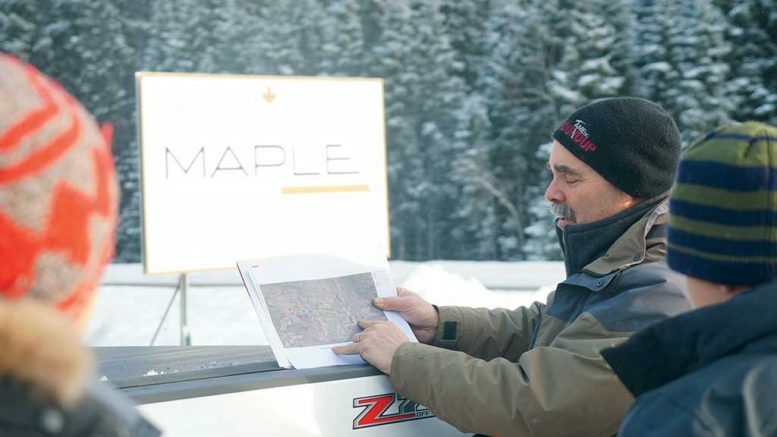 Fred Speidel, Maple Gold Mines’ vice-president of exploration, holds a map at the Douay gold project in Quebec’s Abitibi greenstone belt. Credit: Maple Gold Mines. AMOS, QUEBEC — Over the last four decades, a series of owners have carved out a resource of nearly three million ounces of gold below the 30 metres of overburden that blankets the Douay project in the Abitibi greenstone belt of northwestern Quebec. But the structures controlling the distribution of that gold — 2.8 million inferred ounces from 83.33 million tonnes grading 1.05 grams gold per tonne — remains largely a mystery. “It’s complex structurally — I don’t think there’s been a really concerted effort to try to understand what controls the gold mineralization,” Fred Speidel, Maple Gold Mines’ (TSXV: MGM; US-OTC: MGMLF) new vice-president of exploration, says on a recent tour of the property. Speidel and his colleagues at Maple Gold Mines are determined to find out. The junior has assembled a world-class team — several of whom, like its new president and CEO Matthew Hornor — cut their teeth working for Robert Friedland’s Ivanhoe group. Hornor spent more than a decade within the Ivanhoe family of companies and has brought with him Ivanhoe alumni David Broughton as a director and head of Maple Gold Mines’ technical committee, along with Jay Chmelauskas, as chairman. Broughton worked for Ivanplats (now Ivanhoe Mines [TSX: IVN; NYSE: IVN]) from January 2008 through October 2016 and was co-awarded PDAC’s Thayer Lindsley and AME’s Colin Spence awards for world-class discoveries at Kamoa in the Democratic Republic of the Congo and Flatreef in South Africa. Chmelauskas headed up Jinshan Gold Mines for five years in China’s Inner Mongolia region, before Ivanhoe sold its 42% stake in the company to China National Gold Group, in 2008. The mining executive, who prior to Maple Gold Mines was CEO of Western Lithium before its merger with Lithium Americas, continues to work on special projects for the Ivanhoe private equity arm HPX. 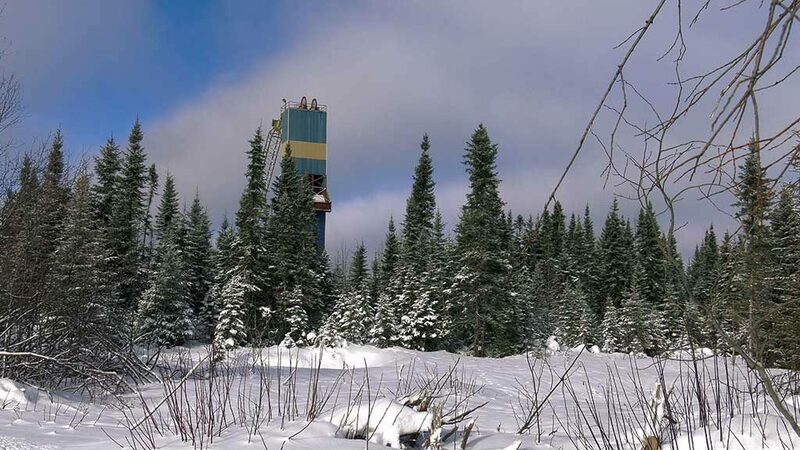 A historic headframe at Maple Gold Mines’ Douay gold property in northern Quebec. Credit: Maple Gold Mines. And like Ivanhoe, the culture at Maple Gold Mines is to embrace trial and error as a necessary part of making discoveries. In this case, the company has a good head start. There’s an archive of more than 220,000 metres of historic drill core to interpret that dates to the initial Douay discovery by Inco Gold in 1976. The core is in excellent condition and the site even has a headframe built by Aurizon Mines in the 1990s and never used. While there is a lot that is unknown about Douay and its surrounding 370-sq.-km land package, what Speidel and Broughton do know is that the majority of the gold found there, so far, is associated with a syenite gold system that forms part of a 7-km-long trend of mineralized zones. These zones are found within the central part of the project’s 55 km of strike length along the Casa Berardi Deformation Zone. The intrusive-related style of mineralization is also present at several other gold deposits that have been recently discovered, such as Canadian Malartic, now owned by Agnico Eagle Mines (TSX: AEM; NYSE: AEM) and Yamana Gold (TSX: YRI; NYSE: AUY), about 157 km to the south of Douay, Osisko Mining’s (TSX: OSK) Windfall project, between Val-d’Or and Chibougamau in the Abitibi, and Alamos Gold’s (TSX: AGI; NYSE: AGI) Young-Davidson mine, 60 km west of Kirkland Lake in northern Ontario. Closer to home, Douay is 81 km to the east of Hecla Mining’s (NYSE: HL) Casa Berardi gold mine and 123 km to the southeast of Detour Gold’s (TSX: DGC) Detour Lake gold mine. Past-producing gold mines in the high-rent neighbourhood include Sleeping Giant, an orogenic gold deposit 50 km to the south, and Selbaie, a volcanogenic massive sulphide (VMS) deposit, 66 km to the north. The interesting thing about the region along the Casa Berardi break, Speidel says, is that it contains a variety of deposit types in addition to syenite-related gold systems. There are VMS deposits — sulphides that accumulated on the sea floor that can be rich in copper, zinc, lead and gold. There are orogenic gold deposits — the more typical quartz-gold veins — such as the Casa Berardi and the Sleeping Giant mines. Meanwhile, Canadian Malartic is a very similar deposit type to Douay, as it’s also associated with felsic to intermediate porphyritic rocks that are borderline alkaline, Speidel says. 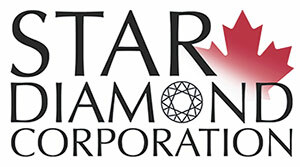 Intrusive-related systems like Malartic are typically large-tonnage, low-grade and amenable to open-pit mining and they weren’t on anyone’s radar until fairly recently, Broughton says, adding that in his early career he was used to thinking of the Abitibi as having Hollinger-type gold quartz veins. “These are different,” he says of the intrusive-related systems. Broughton notes that intrusive-related gold systems are usually associated with relatively small intrusions, syenitic in composition, and are generally oxidized, which means they often have magnetite or hematite, which means there are geophysical implications in terms of detecting them. The geologist also notes that they tend to be smaller intrusions, often later in age, and associated with what are known as Temiskaming-type sediments in the Abitibi. The intrusions also like to come up on faults, he says, which means they’re often on geological boundaries between mafic and sedimentary packages. Over the last 18 months, Maple Gold has re-logged much of the historic core. Since joining the company in late 2017, Speidel started examining 27,000 metres of core that had yet to be re-logged. His goal: To characterize gold mineralization associated with clusters of higher grade and broader gold intercepts and select high quality targets for the company’s 2018 drill campaign. 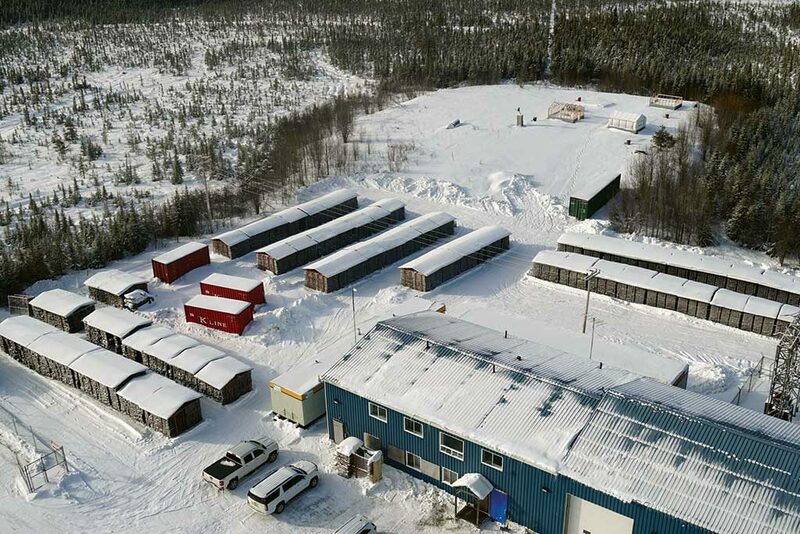 The core storage facilities and buildings at Maple Gold Mines’ Douay gold project in Quebec. Credit: Maple Gold Mines. The 25,000-30,000-metre drill program will kick off on Jan. 15 and include reverse circulation (RC) and diamond drilling in brownfield and greenfield areas. 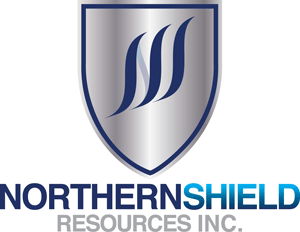 About 50% of the program will test potential new discovery targets, including diamond drilling of the Northeast syenite target and top-of-bedrock RC drilling of additional greenfields targets. 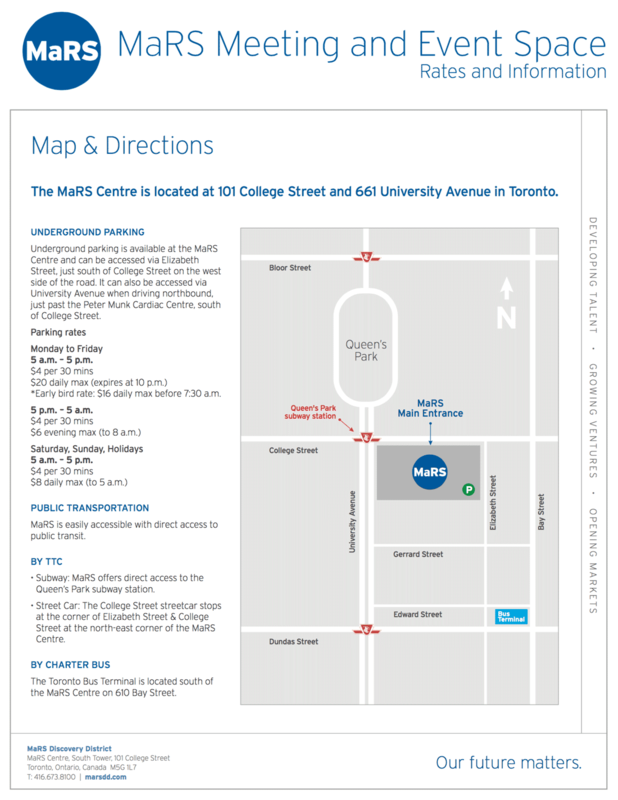 The remainder of the program will consist of step-out and infill drilling the existing resource. In addition to improving geological and exploration models from the re-logging work, the company plans to test a significant amount of the historic core that was never assayed for gold. An initial 8,000 samples have already been collected, and during the final phase of re-logging, another 10,000 samples will be collected. 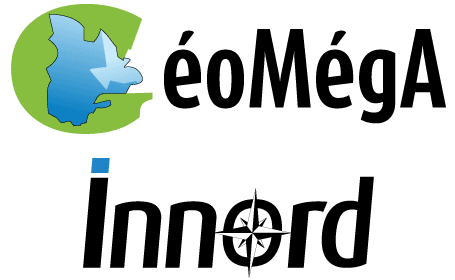 The new assays will help identify mineralization vectors and improve geo-statistical modelling of the resource. Given that much of the project over the Casa Berardi Deformation Zone is covered by thick glacial deposits, conventional soil sampling is ineffective at targeting bedrock anomalies. So far early re-logging work has found evidence that when there is higher grade material (anything over a gram gold), there will be a significant structure within a few tens of metres of it, Speidel says, and there is an association that needs to be defined between the syenite, favorable mafic wall rocks and structures. For Speidel, whose career started in northern Quebec, working in the Abitibi is a homecoming of sorts. In his early days the geologist was responsible for brownfield exploration around Lac Shortt. He also played a role in the discovery of the Troilus gold deposit, 120 km north of Chibougamau. Inmet Mining produced over 2 million oz. gold and almost 70,000 tonnes copper from an open pit at Troilus between 1996 and 2010. Later, while leading exploration teams in Central and South America for Minnova, which later became Inmet Mining, and then was acquired by First Quantum Minerals (TSX: FM; LON: FQM), Speidel was involved in several gold and copper discoveries, including Cobre Panama, the enormous copper development project in Panama. Prior to joining Maple Gold Mines, he was regional exploration manager in North America for Antofagasta (LON: ANTO; US-OTC: ANFGY). 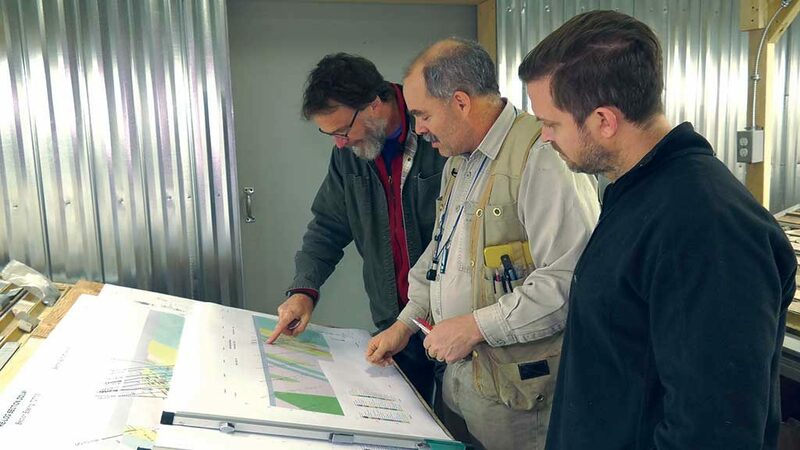 Examining maps at Maple Gold Mines’ Douay gold project in Quebec, from left: David Broughton, director and head of the technical committee; Fred Speidel, vice-president of exploration; and Matthew Hornor, president and CEO. Credit: Maple Gold Mines. The Douay resource remains open along strike and down plunge, and the company believes brownfields exploration potential for resource expansion is excellent. The deepest hole was drilled to 958 metres; the average hole depth for the current 761-hole database is 293 metres. Currently, Douay’s pit-constrained resource is contained in eight separate zones: 10, 20, 531, Central, Douay West, Northwest, Porphyry and Main. The Main zone averages 1.5 grams gold per tonne, Douay West 2.36 grams gold, the Northwest zone 2.15 grams, and the larger Porphyry zone around 1 gram. The smallest zones (10, 20, and Central) average 1.2 grams gold. The distance between the Main and Douay West zone is about 6.6 km end to end. The company has also defined a new zone it is calling the Northeast syenite target, which is 6 km by 1 km, and virtually untested by drilling. The target is about 2.6 km to the northeast of the Porphyry zone and Maple Gold plans to drill a minimum of 11 core holes into the target in the first quarter of 2018. In the Porphyry zone, there are at least four clusters of higher-grade intersections, at greater than 2 grams gold per tonne, and Speidel surmises they could represent structural intersections or feeder zone, particularly in the up-dip areas where there are potential starter pits. Highlights of the company’s 2017 spring-summer drill program include 9 metres of 4.53 grams gold, including 1.5 metres of 15.7 grams gold in the central segment of the Porphyry zone and 1.2 metres averaging 13.35 grams gold. In the Douay West Zone, drilling returned a 7.5 metre intercept of 1.39 grams gold, 20.6 metres of 2.11 grams gold and 23.1 metres of 2.20 grams gold. Previous drill campaigns returned 21.18 grams over 10.5 metres; 9.27 grams gold over 21.4 metres in Douay West; 14.41 grams gold over 16.9 metres in the Main zone; 2.63 grams gold over 55.7 metres in the 531 zone; and 2.13 grams gold over 60 metres in the Porphyry zone. “We’ve expanded the area of syenite to roughly ten kilometres, that’s the brownfields target area right now, but even outside of that, along what looks to be the north strand of the Casa Berardi fault zone, there are a number of other areas that have syenite, and there’s very little drilling that’s been done out there so there’s quite a lot of upside potential in terms of finding additional resource clusters all along the Casa Berardi fault zone and secondary structures,” says chairman Chemelauskas. In the meantime, Maple Gold’s executives are criss-crossing the globe marketing the story. “A big part of what we’re doing here is putting this company in play,” Chmelauskas says, adding that the company has recruited Gregg Orr, a former partner at Deloitte, as its chief financial officer, to bring the company’s financials into shape. Hornor, who speaks fluent Japanese and honed his skills at Ivanhoe where he negotiated project financings for development projects with international banking syndicates, structured strategic alliances and directly negotiated equity raises of more than $450 million, is enjoying the challenge. “My job is the fun one — I get to talk about a stock with great potential that trades for only a quarter today — so I’m having a great time,” says Hornor. At press time in Toronto the company was trading at 24¢ per share within a 52-week range of 15¢ (December 2016) and 46¢ (March 2017). The junior has 182 million total shares outstanding for a market cap of $44 million. 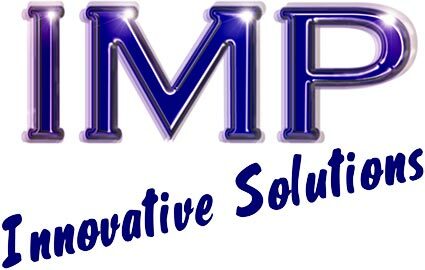 3 Comments on "Site visit: Maple Gold takes fresh look at Douay"
This article has been edited. It used to say ““My job is the fun one — I get to talk about a $2.50 stock that trades for only a quarter today — so I’m having a great time,” says Hornor. Why the change? What else in this article has been edited? Hi Patrick, the quote in the online version of the story was changed at the company’s request due to their concern it violated corporate disclosure guidelines. The original quote was published in the Jan. 8 print edition of the newspaper. Thank you for clearing that up Trish! All the best!